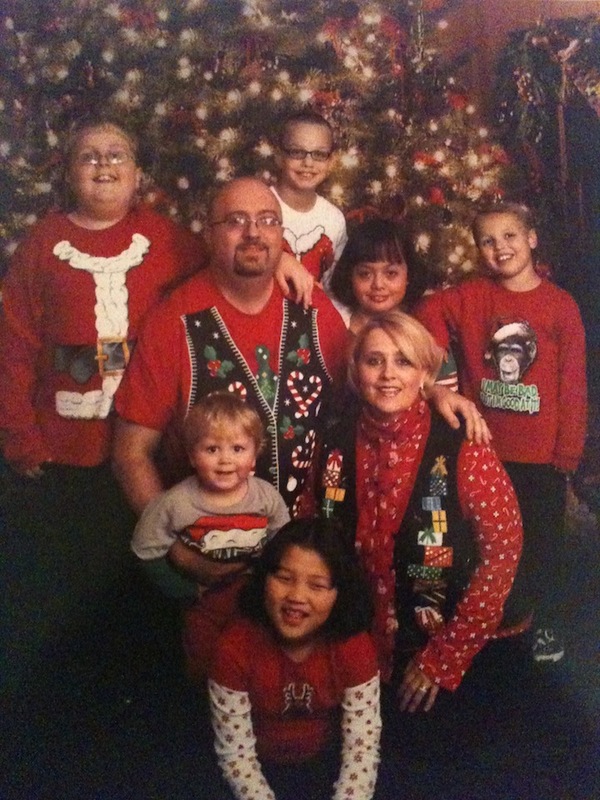 We have 2 girls, one from China that was adopted though disruption, and one from Korea that has special needs; 2 brothers from foster care; and two biological kids. I am a nurse; I work from home and home school two of our kids. My husband is a special education teacher. We love children, and our special needs children have surpassed every goal we had for them. They are truly amazing. It has also given our other children such a kindness toward people that have special needs and a respect that they are people just like them. My children that have special needs are just doing so well and have been such a blessing to our family. I want to love as many of these children as I can and give them a chance to be all they can be. Jesus is our strength. He is the reason I do what I do and love like I love. He has put a desire in my heart to mother special needs children. I feel teaching my children about God is my greatest role as a mother. We are a large family that have been through many things with our children from open heart surgery with feeding tubes and oxygen to hoarding food and never sleeping. We have, with God’s help, been able to make such a difference in each little life given to us. We understand that parenting a specials needs child is a very hard thing and have so much respect for a person that knows they can not do it, but they love their child enough to find them a family that can. Two of my boys’ birth mother loves them so much, and I tell them that all the time. She just knew that she was unable to care for all the special needs our son has. She stills sends cards and emails, and we send pics and update her on facebook. I am a stay at home nurse, and my husband is a special education teacher. We are very close to our families and talk with our mothers almost every day. The kids love their grandparents. Some of our children go to Christian school, and some are home schooled, and one is in public school; we just see what is best for each child. We are open to any questions you may have for us. God bless you.